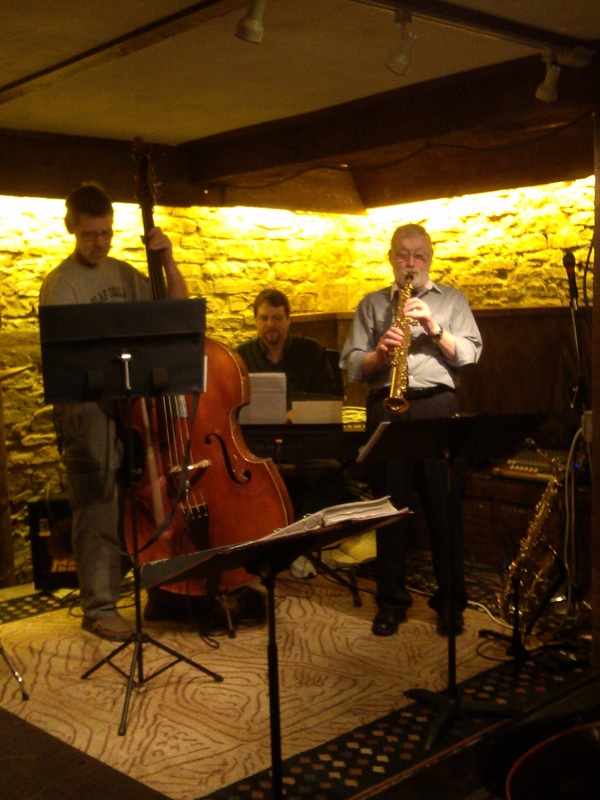 There’s a great line-up of musical groups performing for the benefit of bass player (and all-around great guy) Bruce Jensen (pictured at left, playing the bass) at the Contented Cow on Saturday night. Six bands for six hours of music, friends, and good times. According to reliable sources, the artists performing will be: Occasional Jazz, Multe, Sweet Jazz, Stone Soup, Gary Heil, and The Zillionaires. So come on downtown for some great music for a great guy. Friday, August 23rd: Isaac Hill, 5:00 to 6:30 p.m., Contented Cow; Bridge Chamber Music Festival: Laura Cavaiani with David Hagedorn and Friends, 7:30 p.m., Concert Hall on the Carleton College campus; Craig Wasner & Maren Brogger, 8:00 p.m., Tavern Lounge; Joseph Walker, 8:00 to 10:30 p.m., Contented Cow; and Art Howl, (latest rumor) 8:00 p.m., Contented Cow. Saturday, August 24th: Riverwalk Market Fair, 9:00 a.m. to 1:00 p.m., Bridge Square; Bruce Jensen Benefit Concert, 5:00 to 11:00 p.m., Contented Cow; Why Not?, 8:00 p.m., Tavern Lounge; and Optimum Trajectory, 7:00 to 9:00 p.m., HideAway Coffeehouse. Sunday, August 25th: Bridge Chamber Festival Young Artist Recital, 2:00 p.m., Urness Hall on the St. Olaf College campus; and Quiz Night, 8:00 p.m., Contented Cow.